Botanical Medicine (Herbs) refers to the use of plant seeds, berries, roots, leaves, bark or flower for medicinal purposes. 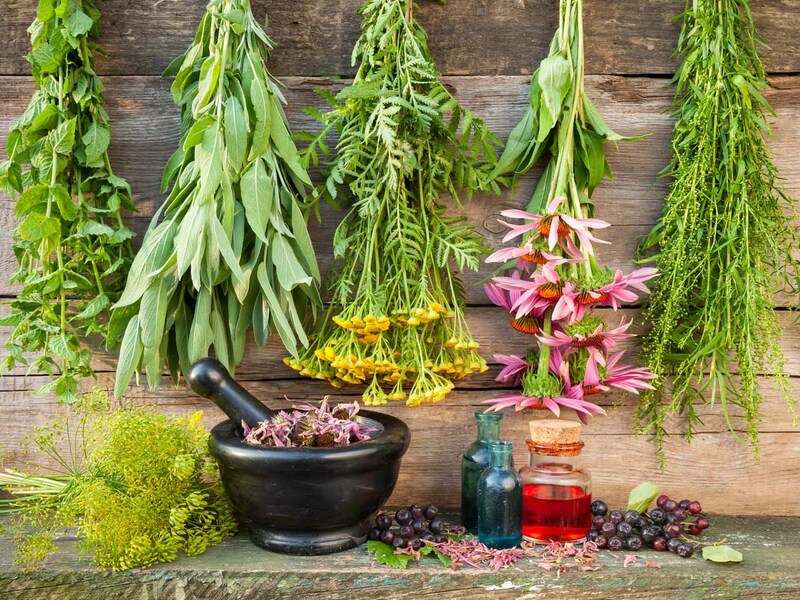 Herbs have also be an integral part of many countries and cultures from the Indigenous cultures (African and Native American) to India (Ayurveda) and China (Traditional Chinese Medicine). The year 1910 sparked a new turn in the US, provided by the Carnegie endowment for advancement of teaching via the Flexnor report and Rockefeller’s general education board ($600,000,000). In turn, this promoted a monopoly medicine, which was heavily drug-oriented, endorsed by the AMA. Despite efforts to thwart the use of herbs, herbs have continued to make segway in medicine, due to their beneficial properties and people seeking alternatives to modern medicine. Almost ¼ of all pharmaceutical drugs are derived from botanicals. Usually available in capsules or tablets. Herbal powders typically have minimal processing and are reasonably priced. Prepared as medicinal teas. Practitioners and traditional Chinese medicine often use a form of medicinal tea called decoction. A decoction is made by combining a bulk herb in water and boiling them together. Mixture is then strained and the liquid consumed. Decoctions make stronger, more concentrated medicinal teas. To make an infusion, pour boiling water over the herb and let it steep. Tea bags are the most common form of infusion used in the US. Note: Many plants have active constituents that are not soluble in water. You’re better off taking a liquid or solid extract in such cases. A popular form of herbal preparation in the US. The preparation is performed by allowing the herb to soak in a solvent (usually alcohol or water) for several hours, days or even weeks, depending on the herb. Tinctures are most commonly made with alcohol. Glycerin has also been used to make “alcohol-free” tinctures, though glycerin is not as good a carrier as alcohol and thus results in somewhat weaker preparations. If concerned about the alcohol in tinctures, try placing the tincture in a tea to take it. This will dilute and even evaporate some of the alcohol. More concentrated than tinctures. Like tinctures, often made with either water or alcohol, but sometimes other solvents may be used in an extraction. The final product is concentrated by distilling some of the solvent and thus increasing the herbal concentration. A solid extract represents the most concentrated form of an herbal product. It results when all of the solvent is evaporated off, leaving a solid residue. These residues are often available in powdered form. Standardized means guaranteed levels of a certain constituent or group of constituents in the final product. This is usually expressed as a percentage of the total weight of the extract. Standardization allows for accurate dosing based on a measured amount of the proven, active constituents. Cardiovascular system: prevention of atherosclerosis; angina; bruising; CHF; high cholesterol; varicose veins. Digestive system: colic; constipation; diarrhea; heartburn; IBS; nausea; peptic ulcer disease. Ear, Nose, Throat: ear infections; tinnitus; hearing loss. Eyes: cataracts; diabetic retinopathy; macular degeneration; conjunctivitis. Female Health Conditions: fibrocystic breast disease; hot flashes; infertility; morning sickness due to pregnancy; premenstrual syndrome; vaginal yeast infections. Immune System: chronic fatigue syndrome; cold and flu; HIV infection/AIDS. Male Health Conditions: hair loss; benign prostate enlargement; impotence. Mouth and Gums: canker sores; cold sores; periodontal disease. Musculoskeletal System: rheumatoid arthritis; sprains/strains. Nervous System: Alzheimer’s disease (prevention and early stage); anxiety; attention deficit hyperactivity disorder (ADHD); depression; insomnia; migraine; neuropathy (diabetic). Skin Conditions: acne; eczema; psoriasis; vitiligo.